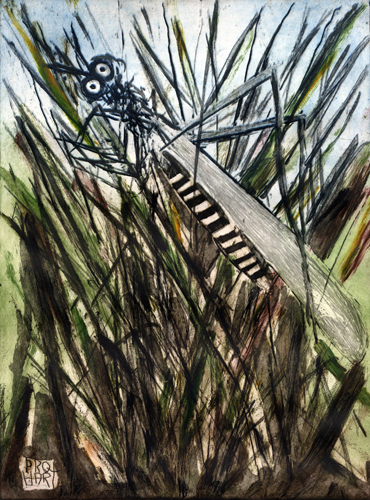 Original Aquatint etching with colour monotype by pro Hart titled Grass hopper and Reeds, image size39x29cm, Grass Hopper and Reeds is a Australian Fine art limited edition. Viewings by appointment ONLY. North Sydney Darlinghurst Paddington.